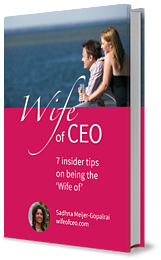 What is the Role of the CEO’s wife? First, she is the spouse behind the successful CEO and thus this lady must be his moral strength. It really is lonely at the top for him; he does not have many with whom he can share his struggles, doubts, and worries. It has been said that behind every good man is a better woman, and that’s the ultimate truth. Marriage could be a wonderful institution in which each half supports the other and that implies that his wife is the only person to tell her CEO-husband things as they really are. She reflects his behaviour and decisions without asking his permission. Her second role is that she must show interest in the business and therefore she must be involved in the plans of her husband’s plans, dreams and business decisions. The big question is: how to achieve that? That means she must possess a certain personality, intelligence and sophistication. But there is also a risk hidden in intelligent (Western) spouses: mostly they are well-educated women who are characterized by their independence in contrast to many Eastern spouses. Some behave very pretentious where in Asian cultures you meet humble wives living in the shadow of their CEO-husbands. 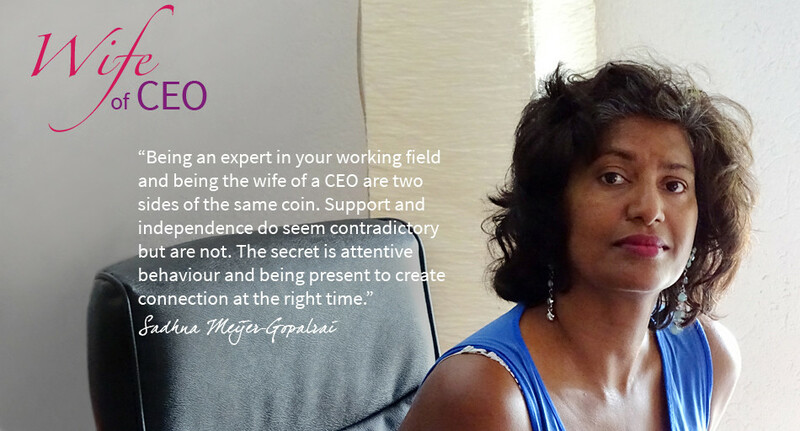 As much as the western CEO’s wife should not underestimate her role, she must also understand the limitations of her role. She must resist the temptation to think she is bigger than he is. This creates an atmosphere where he, at some moment, subconsciously feels this looking down on him, which is of course counterproductive to being a good team together. Western couples can gain quality in life if they honor value each other’s value and see the joy in being different from each other. Seen from the outside, being married to a CEO often looks like living a dream. Is your own experience less glorious? The online course Rise your power helps you to enjoy your life more intense, allowing yourself to be the best version of you. This course is packed full of practical lessons with my personal wife of a CEO-experiences, great tips to overcome negativity or uncertainty, how to position yourself in the executive environment connected with your spouse and how to find your own way in this. Come out of his shadow and let yourself shine!